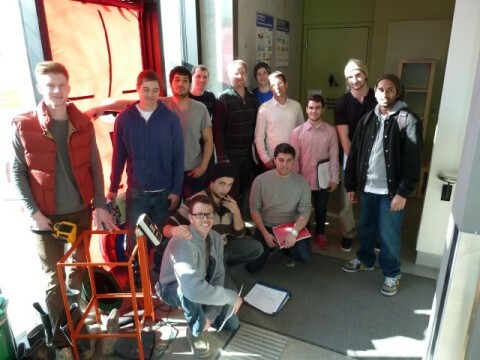 Air Tightness Testing a LEED Gold Certified Building | BlueGreen Consulting Group Inc.
A few weeks back, my awesome students at Humber College and I had the unique opportunity to air tightness test The Centre for Urban Ecology. 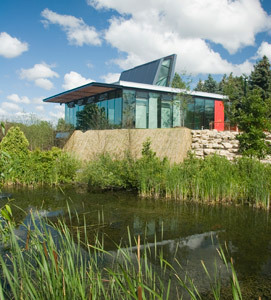 This LEED Gold Certified building is nestled in the Humber Arboretum, part of the Humber College campus. 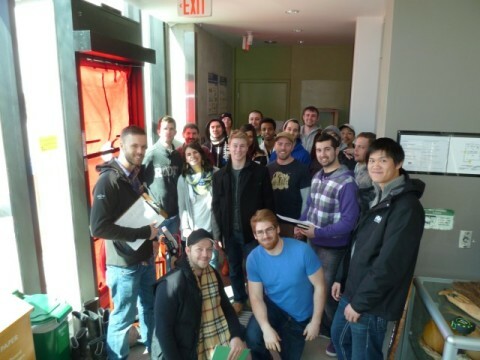 I had the distinct privilege of guiding the Lab component of a course called SNRG400 Residential Homes and Small Buildings this past winter. The students remind me there is hope! Needless to say, we had a blast just getting out of the Lab. I’m pleased to announce the air tightness was better than EnergySTAR requirements for homes coming in at 1.7 ACH50. SNRG400: ‘The Early Lab’ – With sweat, blood and broad shoulders.